Learn to honor Christ in your social media interactions. In today’s digitally-driven world, it’s all too easy to get swept away by social media trends without realizing how our online conduct affects our spiritual life. 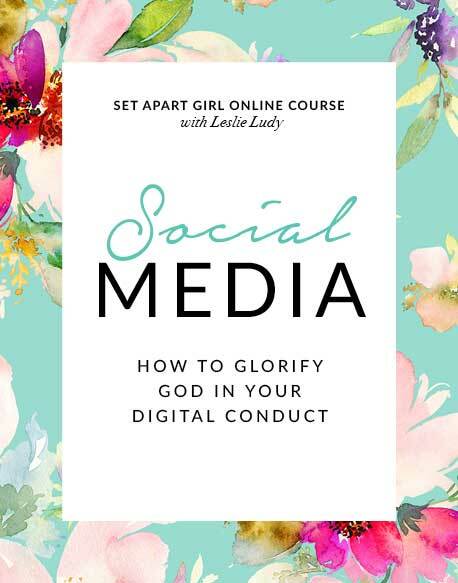 Join Leslie for this powerful and practical course on what it means to honor Christ in all our social media decisions. In this course, Leslie shares biblical principles for adopting a “digital code of conduct” that will give you a fresh new perspective on using smartphones, texting, Facebook, and Instagram for the glory of God instead of the shallow trends of the culture.